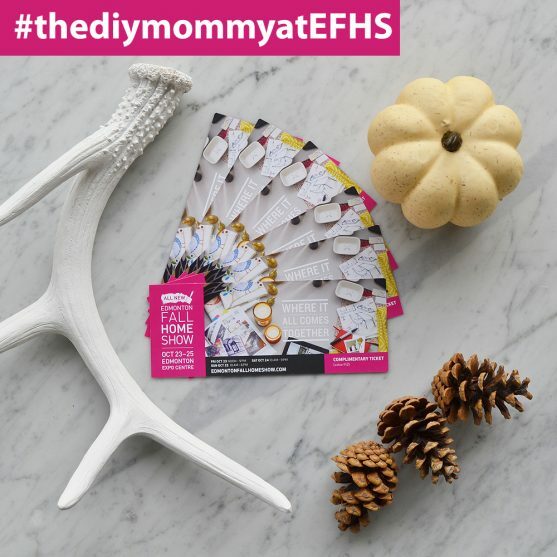 DIY Living Room Styling Tips at The Edmonton Fall Home Show + Win Free Tickets! Since winning the title of Western Canada’s Next Home Stylist this August, life has been one happy blur! I flew to Vancouver at the end of August for a meeting with Marketplace Events and Urban Barn to determine what my presentation would look like at the Western Canada home shows this Fall, and I presented at my first show last weekend in Calgary. I was SO nervous right before the presentation, but as soon as I connected with some smiling faces when I got on stage, I was OK. It was really exhilarating to speak on the main stage, and I truly loved it. I can’t wait to do it again! I will be speaking on the main stage at the Vancouver Home + Design Show on October 23, and then the new Edmonton Fall Home Show (my home turf!) on October 24 and 25. 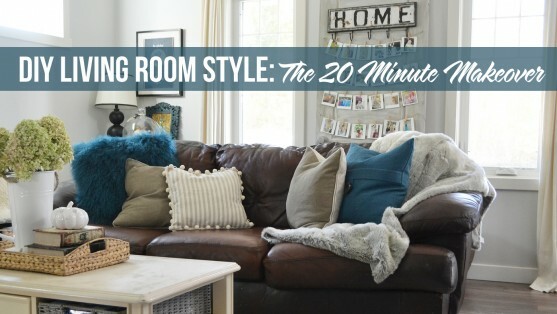 I’ve come up with some easy DIY living room styling tips that I’d love to share with you there, plus I’m going to give you a live demo on how you can completely change the look of a living room in under 20 minutes! I want to give away some tickets to some of my fellow Edmonton and area friends before the show. The more smiling faces there, the happier I’ll be. All of the love and support you have given me so far has helped get me to this place, and I want to continue sharing this dream of an experience with you! I’m giving away 3 sets of 4 tickets on Facebook, and 3 sets of 4 tickets to the Edmonton Fall Home Show this October 23-25 on Instagram. Click here to enter to win some on Instagram and / or click here to enter to win on Facebook.